I read with surprised an instant message sent by Gilang, a friend of mine from college, three months ago. We hadn’t seen each other for three years and he suddenly came up with an idea of traveling to Lombok Island to climb Mount Rinjani on the following month. I thought that would be great, but it was way too close. We had to be prepared physically and of course financially. So, we both agreed to reschedule the trip to either on the end of May or early June. Reading the itinerary sent by the trekking organizer Gilang had corresponded since March (I later found that there were many organizers in Lombok that offered a trekking trip in Rinjani with varied prices and services), I realized that this mountain was not to be compared with my previous short trekking to Ijen Crater and Inner Baduy. This was gonna be like four or five times harder than those, and the most challenging part would be reaching the summit point which was 3726 meters above the sea level. 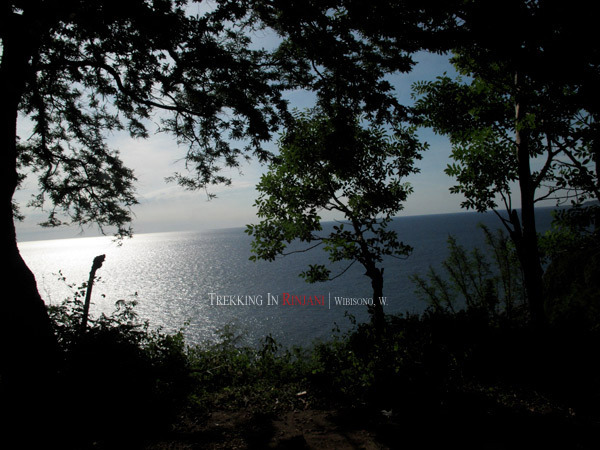 After several thoughts and changes in plans, we decided to take the most common trekking package of three days and two nights, leave Jakarta on early June. 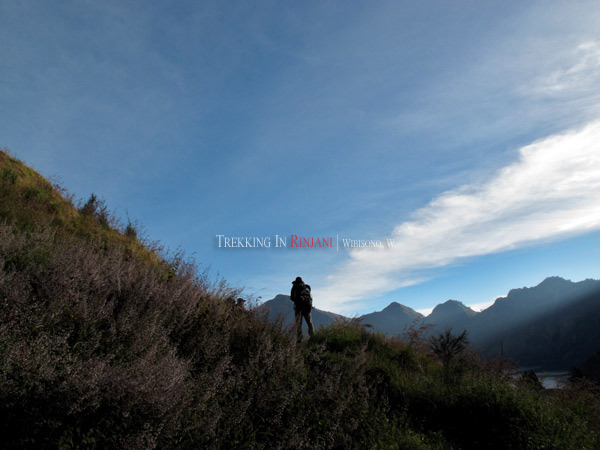 There were excitements, pains and hopes during the three days of our trekking in Rinjani. This is part one of my journeys, the rest of the parts will appear in upcoming posts. Waking up early on Sunday morning was a real hard task for me. After a long and exhausting packing on the previous night, I slept earlier and set my alarm at four. I was suposed to leave my parents' house at five thirty for bus station to catch a shuttle bus to the airport. As I was about to leave, three cats were coming to the front of the door, begging for their reguler breakfast which was usually given at around seven. They made me late for about fifteen minutes. As I was waiting for a cab, an old man showed up with his 'ojek' (a motorcycle taxi), offered me a ride to the bus station. Well, this was weird since there was no ojek station near my parents' house. But with a huge 45 litres bag in my back, anyone would easily figure what I needed and where I headed to. So he agreed to take me to bus station at Rawamangun. It took less than ten minutes to reach it. Soon, I got on the shuttle bus that departed right at six. 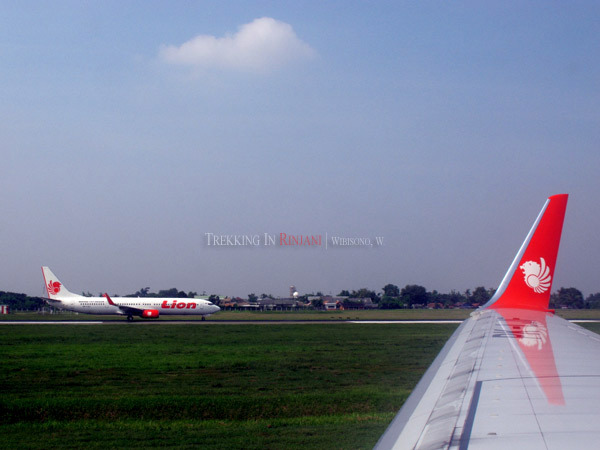 It was a bright morning when we finally took off at ten from Jakarta. The flight to Lombok took less than two hours. We landed in the new airport at Praya. 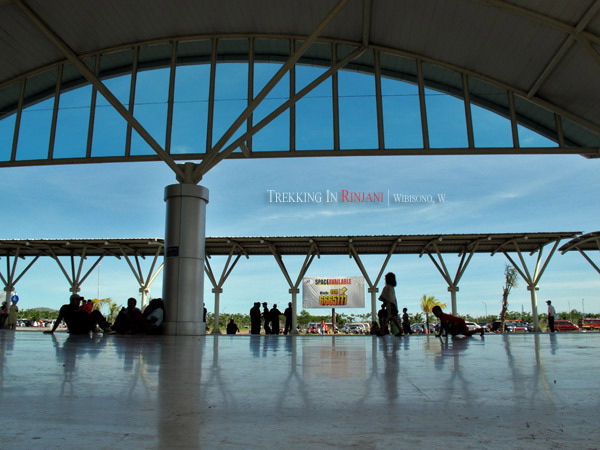 The locals called it 'BIL', short for Bandara International Lombok or Lombok International Airport. After spending like half an hour inside the airport, Gilang and I came out to catch a shuttle bus that would take us to Senggigi, where the trekking organizer had agreed to pick us up. Each of us had to pay twenty five thousand rupiah for the bus. While waiting for the bus to come, I took some pictures of the new airport. It was interesting to find that local village people there saw the airport as somekind of spot for picnic. They spent the afternoon by sitting in groups, on the floor while the kids played around in the hall. 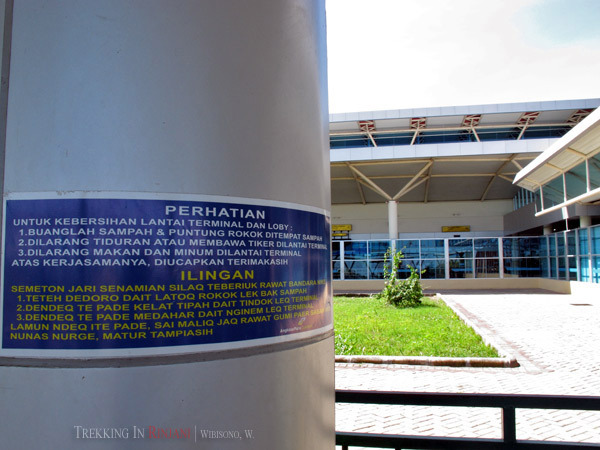 Even the warning sign was written in two languages: Indonesian and local. 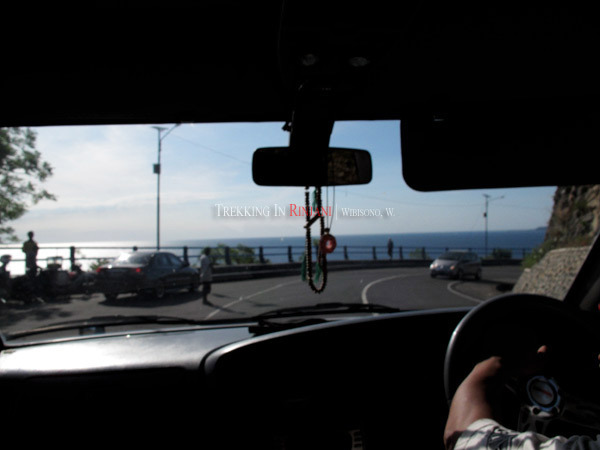 Taking the front seat in the shuttle bus, I enjoyed all the scenes of Lombok I saw during our two hours ride. 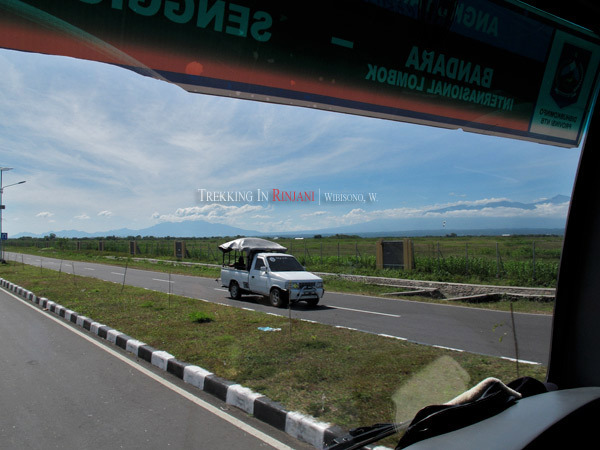 The nearly empty new road that connected the new airport with the city, the Mount Rinjani that we were going to climb, and the most enjoyable part for me was when we drove through the city of Mataram. The athmosphere reminded me of small towns in East Java where there were many guys wearing sarong and dogcart was still the main transportation. 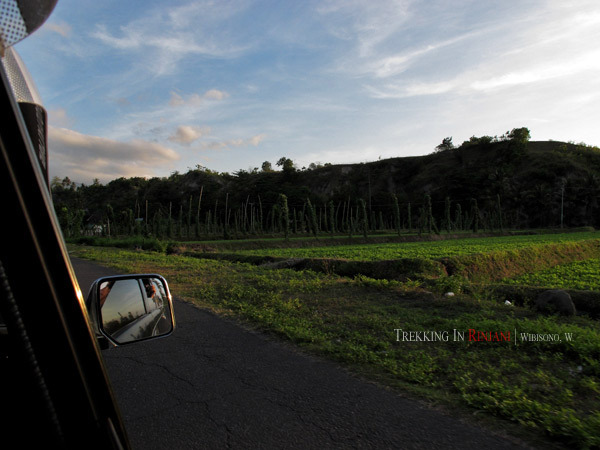 We rode the bus till its last stop at Senggigi, a famous tourist destination in West Lombok. There, we met Pak Harry, our trekking organizer, who would take us to Desa Senaru where we were going to stay overnight before climbing Mount Rinjani on the following morning. 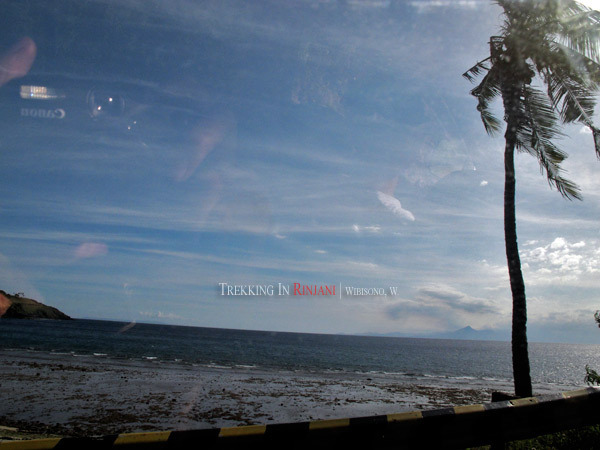 Gilang had an idea of staying overnight at Senggigi, hoping to capture the sunset on the beach. But we would have to wake up very early in the morning on the following day - because Pak Harry would pick us up at five - if we had stayed at Senggigi. And that meant we only had a few time to sleep before climbing up the mountain. 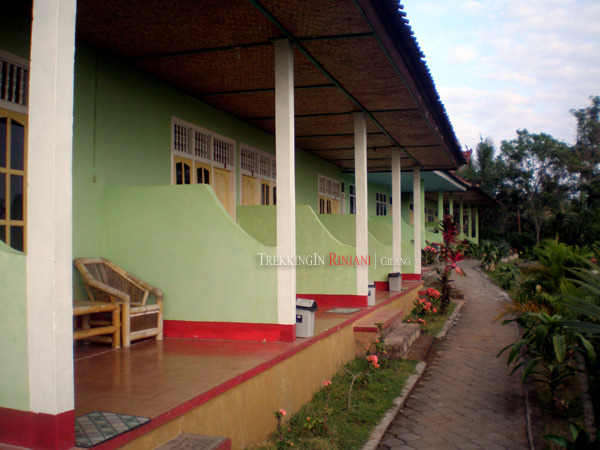 So, we decided to stick on the plan, staying at Senaru so we could have a longer time to sleep. They would pick us up at six thirty on the following morning. Along the way, I witnessed the daily life of the coastal villages. Apparently for those people there, dogs and cows had been sort of common animals that could be easily found everywhere. Our driver - I regret that I didn't memorize his name - told us that there were twenty nine different dialects in the island. About two hours from Senggigi, we entered Senaru, a small village in the slope of Mount Rinjani where I could feel the mountain breeze. It was so silent and quiet over there I could suddenly find peace. The place we were going to stay overnight consisted of two rows of bedrooms with a toilet inside each of it. Its name was "Pondok Indah." Soon after we checked in at room number seven, we unpacked our stuffs, hoping to reduce the load by putting out those that wouldn't be needed during the trekking and left them there for three days. We walked to a mini store nearby to buy a SIM card for Gilang, some crackers and isotonic drinks for me before finally got inside a mosque for the dusk prayer. The mosque was in poor condition. I almost thought that it was an abandoned warehouse. To end the night, we had dinner served by Pondok Indah. 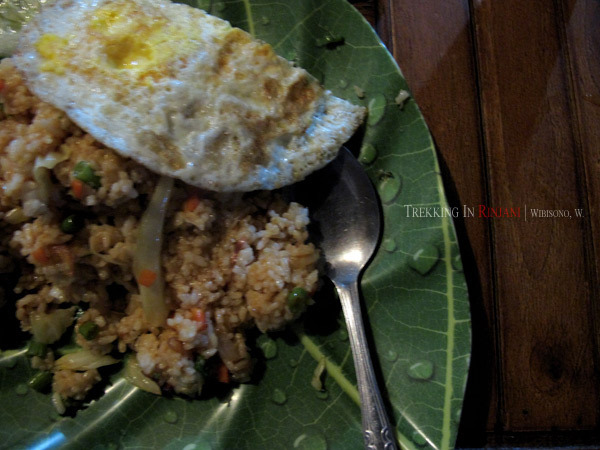 We ordered nasi goreng (fried rice) with egg. As for the taste, it was awful. I guessed they cooked the rice with too much water. We head to bed earlier that night. On the following day, we were going to climb the Mount Rinjani, started from Sembalun, about half an hour drive from Senaru. I was excited, waiting for the morning to come. And that was going to be a new day that I'm going to tell you in the next story. and oh, nice story. Can't wait for the rest of it. Aaah... ya, you're right. It was 45. Thanks. Thanks for the compliment. Pantai di sana bagus banget menurut gue. Bentar lagi gue upload day-2 nya. i dont have gaiter and 'tongkat' ...any possibilities i can rent them there? how much it cost if i want porter to bring my personal beg? Yes you can. But I have no idea how much the rent is. If you want to use a porter and a guide, you'd better call a local trekking organizer. They will provide you with everything you're gonna need in the mountain. 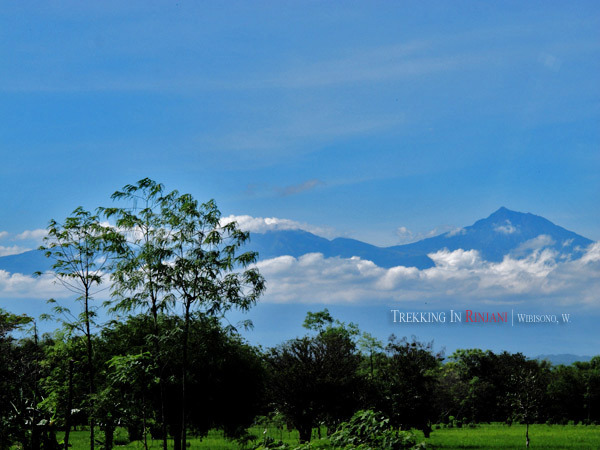 Have a nice trip to Rinjani.